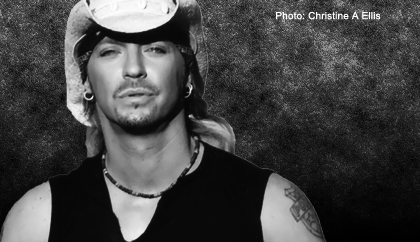 Bret Michaels is a legendary singer-songwriter, father, entrepreneur, philantropist, and diabetes advocate. His passion for life translates into every endeavor he undertakes. 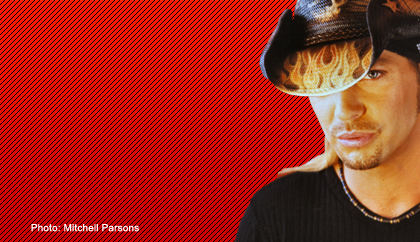 The drive to succeed has lead to a successful music career, both with Poison and as a solo artist, spanning more than 25 years, 30 million records, millions of fans, countless hours on the road and sold out venues around the world. 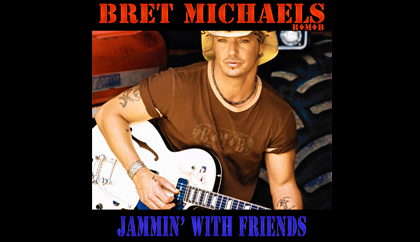 Jammin; With Friends brings together the friends that Michaels has made along the way with some of the songs that have shaped all of that success. Bringing together artists from a variety of genres and generations, this album features a live duet with Jimmy Buffett ("Margaritaville"), a cover of "Sweet Home Alabama" with Gary Rossington, Rickey Medlocke and Peter Keys from Lynyrd Skynyrd playing on the track, new versions of some of Poison's biggest hits, including the highly anticipated remake of "Every Rose Has Its Thorn" with Loretta Lynn. Musical greats such as Joe Perry of Aerosmith, Michael Anthony of Van Halen/Chickenfoot, Leslie West of Mountain, Ace Frehley of Kiss/Frehley's Comet appear on this record, just to name a few. Two new songs appear on this album - the wildly popular ode to social media "The App Song" and the other being "You Know You Want It." The single, "Get Your Rock On," released at the beginning of 2012, makes its album debut featuring Phil Collen of Def Leppard/Manraze and Sal Costa of My Darkest Days. The genre bending album features 20 songs and in addition to the artists mentioned also features, Miley Cyrus, Hugh McDonald (Bon Jovi), Bobby Capps (38 Special), Scot Coogan (Lita Ford), The Sheilds Brothers, and more. A full list can be found on the DETAILS page. 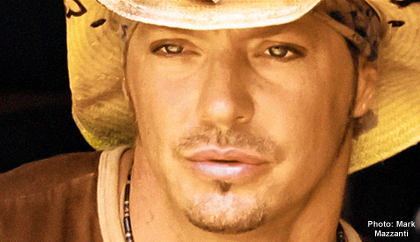 Bret Michaels has carried his success in the music business into highly successful partnerships with Vh1 (as star of the highest rated series Rock of Love), Dean Guitars (with his own signature line of guitars), PetSmart (with his own line of pet products), Snapple (Trop-A-Rocka Diet Snapple is a best selling flavor), in addition to winning Celebrity Apprentice and starring in the new series, Rock My RV on the Travel Channel. An advocate for diabetes, Michaels has also started the Life Rocks Foundation aimed at raising awareness and funds for not only diabetes charities, but cancer charities, children's charities, animal charities and military support organizations. His far reaching demographic and down to earth personality brings awareness to so many through his television appearances and concert stops. 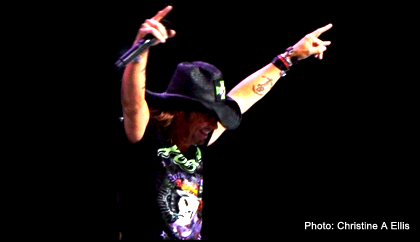 For more information about all that is everything Bret Michaels, visit his official web site for links and details about all of his many projects. Members of the media can visit our Media Zone for all your asset needs for this album release and for everything Bret Michaels. Login is required, contact us for login information if you haven't already received it. Visit the Bret Michaels Media Zone. All graphic design, music, logos and photos © 2013 Bret Michaels, B*M*B Poor Boy Records, Inc, Michaels Entertainment Group, Inc, BretMichaels.com -- Page Layout Code © 2012 "Trixy" by Anariel. All rights reserved.